We are still running some 11th Generation Dell PowerEdge servers in our DC and some of the virtual machines were having some performance issues. We considered completely replacing replacing the servers, but found that the CPU load was very low most of the time. The bottleneck for the database application running on these servers was disk related and we felt that a boost in performance in this area would bring the performance back to where we needed it to be. 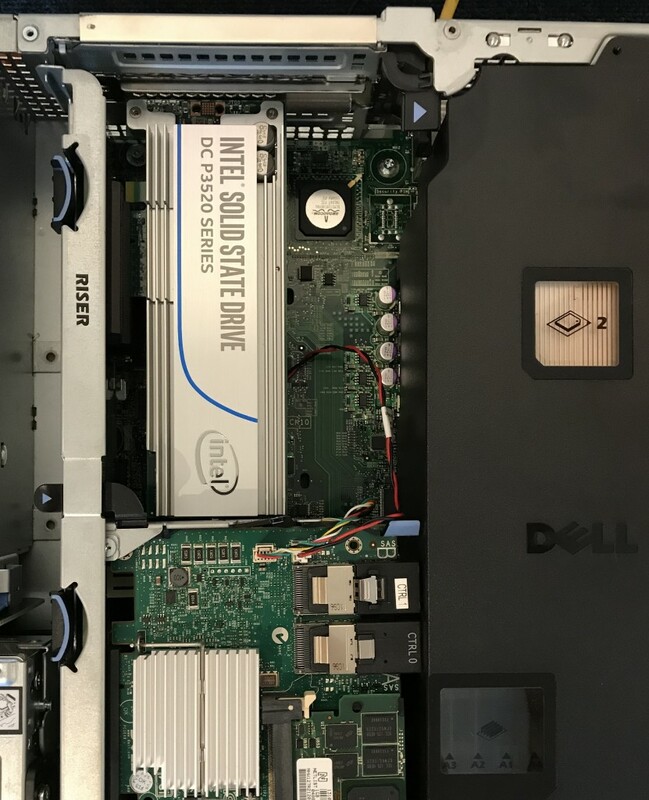 We decided to put an Intel P3520 NVMe SSD into two of the machines. 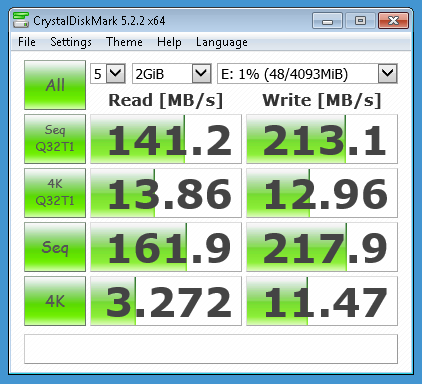 This card, although not top of the range in terms of performance, has a great price/performance ratio and should be much faster than the existing drive array. VMWare recognised the card no problems, but I also installed the Intel NVMe drivers, which boosted the performance a bit. I haven’t done extensive performance testing but I can tell from using the applications hosted on the machine that it is much quicker. 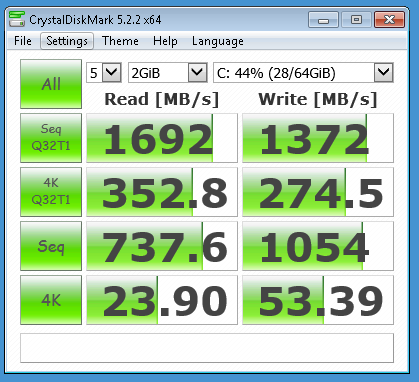 So overall adding the Intel SSD provided a significant boost in performance over the existing array, which is now just there for redundancy, the application performance has boosted much more than the performance metrics above signify.